I finished another mini last night. This one is for an auction my Aunt is having at her church this coming weekend. I've been working on a few projects for a basket, so I've been super busy. Here is the front cover. To see the video on how to make this flower click HERE. I love Prima flowers. The one on the left side I found on clearance at Michael's. The right hand page has the Stampin' Up! petal sizzix die as an envelope and two tags behind it. Fun stuff. 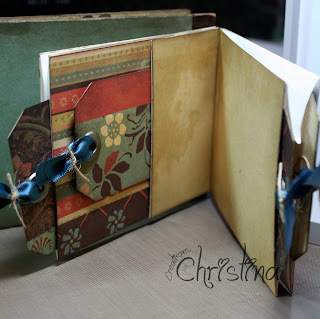 Arlene did this great video tutorial (mybutterflykisses12) on how to make a flip out page. Really something like this looks so complicated to me, but once you see the video you will be surprised on how easy it is. This is one of my favorite pages. My friend Teri sent me some Prima lace and since I don't have the Stampin' Up! 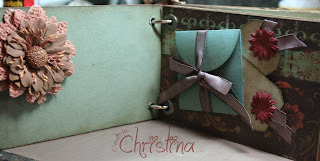 scallop envelope die she punched me a whole punch of envies. I took one and distressed it with walnut stain ink and added a tag to the inside. What a gorgeous album, I bet it goes for a pretty penny at the auction!! Just like everything you make this is a beautiful album! 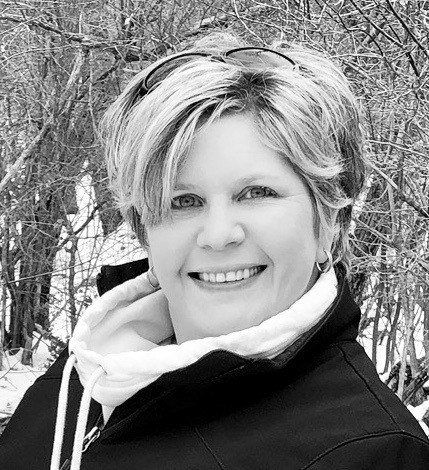 Can you please provide a link to butterflykisses12 blog? I love learning new techniques from all of you and get 99% of my ideas from scraplifting. Thanks. Beautiful album! Love your ideas and videos, thanks for taking the time to share all of them! Hi Christina. This album is beautiful. WOW! Beautiful album....I love those mini envelopes. 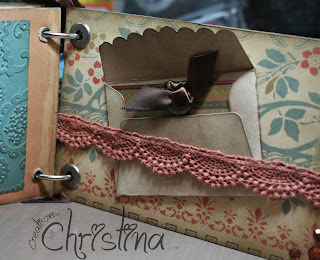 This is another super project Christina....great job! It is just beautiful!! I love everything about the mini album!! Very nice, anyone would love to have that album! Love the album...BEAUTIFUL. I'm sure it will be hot item at the aution. Really want to make one myself. Christina, this is beautiful! You made this look sooo cute & gorgeous!I love every page from beginning to end! O my goodnesss Christina what a gorgeous min album I just love it. I took a class and made a flower out of grunge paper but was tld I needed a 5 petal flower we made a bracelet. Although I loved the results of my bracelet I was not going to spend money on the materials needed to recreate it..thank you thank you for these videos. My paper grunge flower is fuller and more gorgeous than the other one. Keep up your fabulous videos you inspire me to create things just because of your great teaching abilities. PS I LOVE your new site! This is wonderful! I love all the distressing you did. Great mini! I loved the video on how you made the grunge flower too. Love this, I'm going to give that flower a go, I don't have a cricut (shock horror) but I think I've got a suitable sizzix die. Hope your aunt's auction goes well. Very pretty! I saw some of those prima's at my lss, but they're too expensive for me. But that's ok, I can create a pretty flower. Thanks for sharing. Love this album Christina. I am so glad that I found out about your blog, you are very talented. Love the mini book! Very nice! I just made the rose. How fun! It's so beautiful. Thank you for the tutorial. What are butterflykisses12 that is written across the screen on your tutorial? Sorry if I'm so naive, but I'm pretty new to tutorials and utube. Anyway, I have a question about the mini albums...How do you actually make the album itself? I have been looking all over for how to make the album...hoping you can help me find it :) Thank you so much for sharing your talent! Its just beautiful...I would have had such a hard time giving it away!!!!! What a Beautiful album! I love the paper and techniques you used. Absolutely Beautiful!